Deliver a quality product. Provide great customer service. These two business principles drive the success of Crook Motor Company in Albemarle. The same two principles also fuel the company’s relationship with its financial institution of choice – Uwharrie Bank. Established in 1945, Crook Motor Company is one of the nation’s largest heavy truck and trailer dealers. Owners Rudy Cranford, Richard Almond and David Horton say they take great pride in the high-quality product their company provides when reconditioning low mileage trucks and trailers. Customers, often repeat clients, fly into Charlotte from all over the United States to do business. And they all go home satisfied. The same can be said for the owners of Crook Motor Company when doing business with Uwharrie Bank – they always go home satisfied. 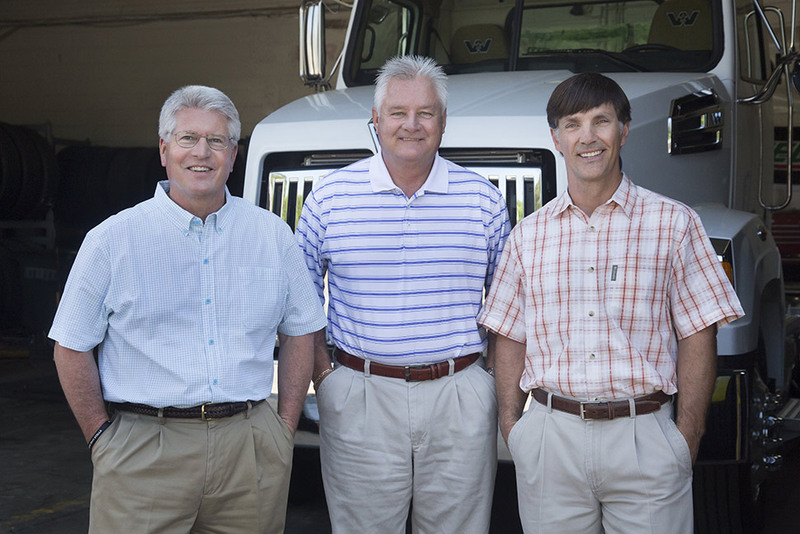 For nearly 20 years, Crook Motor Company has used a variety of Uwharrie Bank’s services such as business checking and business line of credit for buying trucks. Mr. Cranford speaks highly of the ease of doing business with Uwharrie Bank, as well as their dedication to customer service. There is something to be said for doing business with a community bank. Offering a great product and great service. It’s how Uwharrie Bank and Crook Motor Company have both built a strong following.